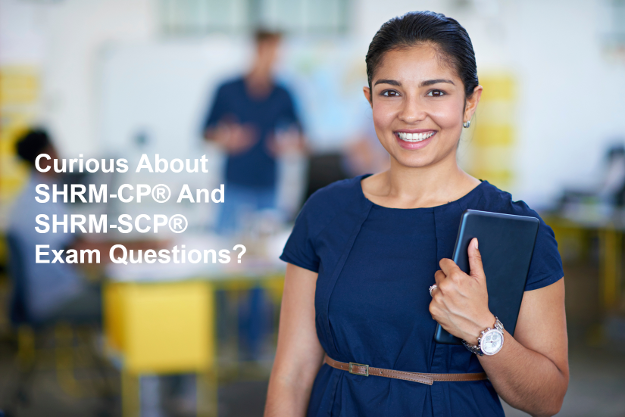 The following SHRM-CP and SHRM-SCP knowledge and situational judgment practice questions will provide you with experience answering the types of questions that may be found in SHRM Certification exams. The questions are not scored, as they are intended to provide a preview but not determine readiness for the SHRM Certification exams. Performance on these items is not indicative of performance on the SHRM-CP and SHRM-SCP exams. Before beginning, please complete the following brief survey so we are better able to answer your questions regarding SHRM Certification. Once you have completed the survey, click the “Continue” button below to begin the practice test questions. SHRM, the Society for Human Resource Management, creates better workplaces where employers and employees thrive together. As the voice of all things work, workers and the workplace, SHRM is the foremost expert, convener and thought leader on issues impacting today’s evolving workplaces. With 300,000+ HR and business executive members in 165 countries, SHRM impacts the lives of more than 115 million workers and families globally.